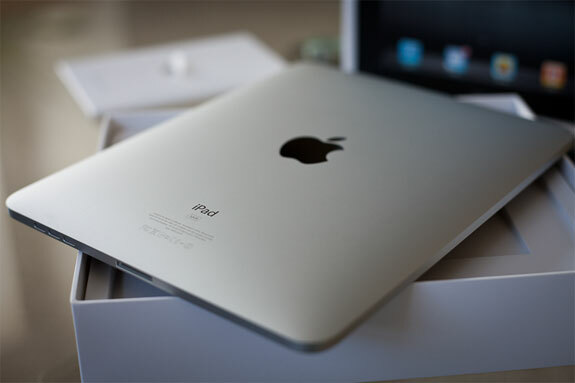 Is the Apple iPad a revolutionary device every tech savvy person should own? Or is it an over-hyped over-sized iPhone? #1. The screen is (mostly) awesome—bright, LED-backlit and beautiful. For heavy ebook reading we prefer the Amazon Kindle’s easier-on-the-eyes e-ink screen. But for watching video, sharing photos and surfing the web the iPad screen is outstanding. The screen does seem a little eager to switch between landscape or vertical mode depending on how the device is held; fortunately there’s a screen orientation lock switch above the iPhone’s exterior volume controls. #2 It’s fast! There’s virtually no power-up time. Apps load nearly instantly. #3 Long battery life. Most people’s biggest complaint with the iPhone—the short battery life—is happily rectified with the iPad. Under normal conditions the iPad can go 10 hours between charges. Fly from London to Tokyo and watch videos on your iPad for almost the entire flight. #4 Working with fingertips. This is perhaps the most underappreciated advantage the iPad has over a laptop. Surfing the web, playing games and manipulating photos is a more pleasant, and far superior, way to interface with a screen than using a mouse. The downside is that website hover-over features won’t work on the iPad. Still, the iPad’s touchscreen makes web browsing on a typical desktop feel clunky and old fashion. #5 Optional external keyboard. When you type an email on the iPad in landscape mode a nearly full size keyboard appears on the touchscreen. Typing on that is definetly faster than thumb-typing on an iPhone. 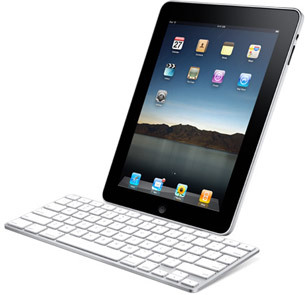 But what’s really cool is pairing your iPad with Apple’s wonderful Bluetooth keyboard (see pic, right). Once paired there’s absolutely no lag time between making a keystroke and the character appearing on the iPad. The Apple wireless keyboard can also be paired to laptops and PC computers. The iPhone works fine for reading emails and sending short replies. The iPad provides a far better experience than that. On an iPad the pre-installed app makes it intuitive and seamless to sort through messages, attach photos and write replies up to several paragraphs long. (For emails longer than that you’d probably want an external keyboard; see above). #7 iPad specific iWork apps. Pages, Numbers and Keynote—Apple’s versions of Microsoft Word, Excel and Powerpoint, respectively—are available in the form of robust, feature-rich iPad apps. Each produces files that are compatible with their Microsoft equivalent. Available for purchase through the iTunes app store. #8 Apps, apps and more apps. What can you do with an iPad? Well, nearly all of the thousands of apps made for the iPhone will work on the iPad. (And if you already have an iPhone you can transfer all your apps—even those you purchased—to your iPad for free). In addition, there’s an exploding number of iPad-optimized apps. Check out our review of the iPad version of Alice In Wonder; it will be fun to see how app developers take advantage of the iPad’s larger screen and increased processing power. #1. No built-in camera. 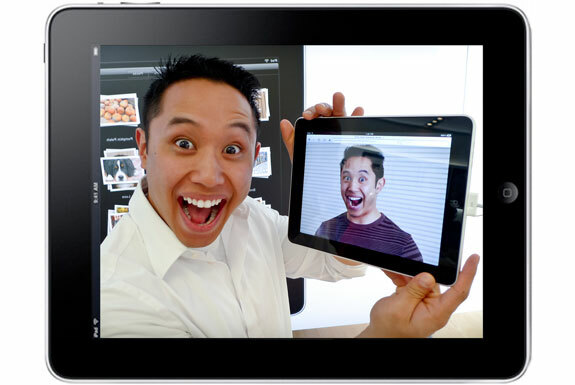 How sweet would it be to make a Skype video call on your iPad? 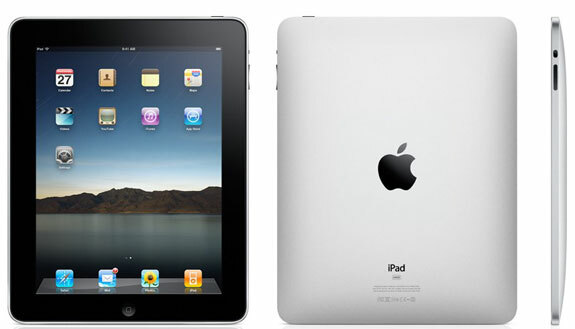 We expect a built-in camera to be included in the next incarnation of the iPad. #2 No Finder file system. As on the iPhone, “files” save within the apps they are created in. A Pages document, for example, saves in the background of the Pages word-processing app. 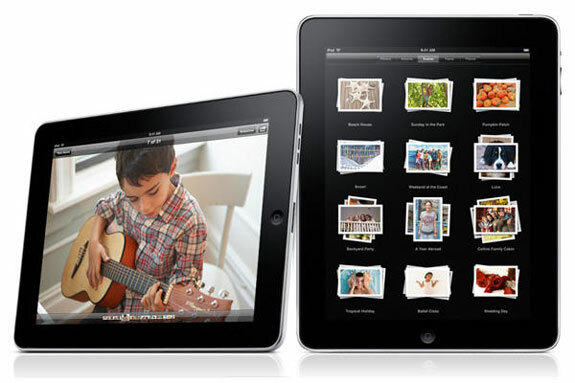 There’s no system of saving files in folders or sharing them between iPad applications. Get ready of lots of emailing files to yourself. #3 No USB port, which is somewhat made up for by the availability of an iPad camera connector but, still, not including USB connectivity seems to us a huge oversight. #4 No multitasking. Here’s another common complaint of the iPhone we’re disappointed Apple didn’t address with the iPad. To switch between iPad apps you’ll have to close out of one and launch the other. #5 Overheating. Work fast if you are using your iPad while lounging by the pool. 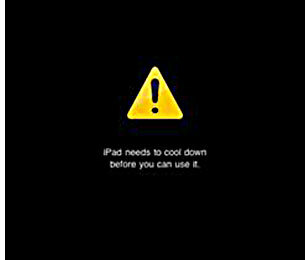 When the internal workings of the iPad heat up to over 113° F (45° C) the device automatically shuts down. That might seem reasonable until you can into account the iPad’s poor heat dispassion rates. Even on a relatively cool day (eg 70° F) you’ll only get around 20 minutes of iPad use in direct sunlight before it will overheat! For Spot Cool Stuff this is a major design flaw. #6 Apps re-arrange themselves. As on an iPhone (that’s not jailbroken), it is hard organizing apps by category on an iPad. Even worse than that: in landscape mode the iPad displays five apps in a row while in vertical it displays four; apps switch positions every time you turn the iPad screen. #7 Non-standard size SIM cards You can only get 3G connectivity on an iPad via AT&T. And you’ll have to pay for that connection even if you already have an unlimited 3G data plan through your iPhone. Furthermore, the iPad uses a micro-SIM card, a type of card available through a handful of cell carriers in Asia and Europe but currently not in North America. In other words, unlocking your iPad will not let you use whatever SIM card you’d like for the 3G connection. Fortunately AT&T does not require any sort of contract for their 3G connection and you can switch between their monthly unlimited plan ($30), 250MB plan ($15) and no plan at all ($0) directly on your iPad. #8 No Adobe Flash capabilities, which in itself doesn’t bother us as much as the iPad’s web browser giving no indication where Flash applets are supposed to be. The result can be frustrating minutes trying to figure out how to navigate a website before you realize that you can’t. Spot Cool Stuff is pro-iPad, though not without some reservations. The thing about the iPad is that it is a complimentary, not as standalone, device. If you are looking for a light and small computer to email, watch movies and surf the web you’ll almost certainly be happier—and spend less—buying a netbook like one in the excellent Asus line. That said, the iPad’s larger screen, iWork apps and optional bluetooth external keyboard mean that the device can be used for some limited content creation. The iPad has an undeniable cool factor to it now. And we are giddy about the iPad-specific apps that will surely come pouring forth as the iPad becomes more widespread. Add all that up and when it comes to buying an iPad for our personal use we are taking a wait-and-see approach. I’m a little annoyed about the micro-SIM. I already had a dongle that I used on my MacBook Pro when out of reach of wireless so I thought I could use that, well I can but they have sent me the new SIM but as soon as I use it the dongle one will be defunct! However that said the iPad is awesome, but I agree that it is a complimentary device and if I’m honest it is quite an expensive luxury. I already have an iPhone and MacBook Pro so it has been difficult justifying the purchase! I strongly disagree with the “No file system” point. 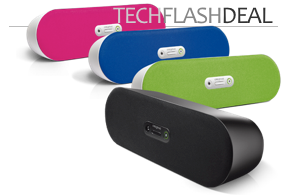 In my opinion, this is a huge advantage, simplying the device handling. This becomes clear every time I try to explain things with the file system to my (grand)parents, e.g. “keep your photos in this folder”. I think the binding of the content to the app is quite well done and easier understandable.